Just as the idea seemed to have been discarded on the anthropomorphic Trash Heap, New Regency has begun moving forward on its reboot of the idea of doing a reboot of Fraggle Rock—one of the few remaining 1980s children's properties that must be revived to soothe thirtysomethings, lest they realize their own mortality and curl helplessly into the fetal position, weeping until they die of dehydration while the wheels of the world grind to a halt. That inevitability (now scheduled for sometime after Snorks: The Snorkquel) will be delayed until at least after this thing, which is being co-written by Rango's Jim Byrkit and former Cartoon Network executive/occasional voice actor Alex Manugian, according to The Hollywood Reporter. 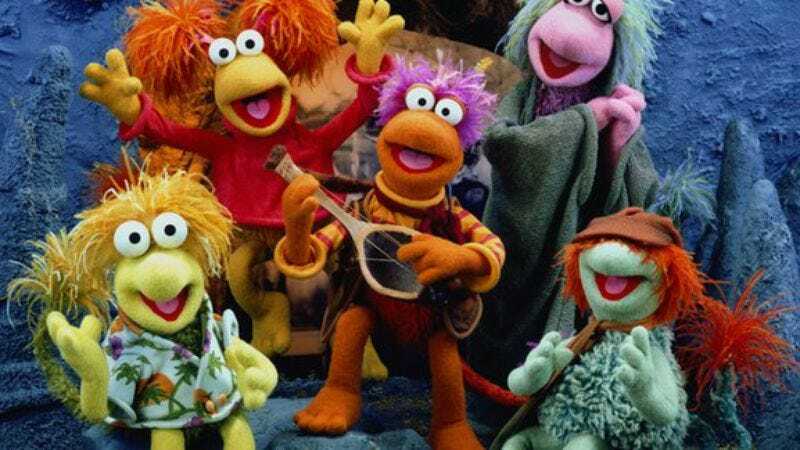 They'll be starting from scratch on an idea that has already passed through several incarnations—including one from Ahmet Zappa that was probably pretty weird—since at least 2006, though it's not yet known whether New Regency still plans to make Fraggle Rock a live-action/CGI hybrid like their ominously successful Alvin And The Chipmunks films. Unfortunately, it may be necessary now that the world's felt supplies have been ravaged by the crafting of so many tear-stained security blankets.